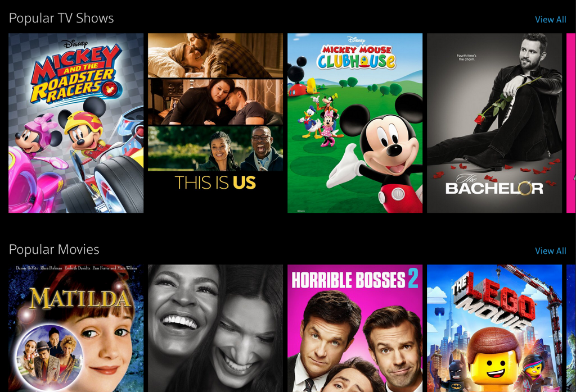 Our contract with Comcast includes a subscription to Xfinity on Campus (XOC) for Residential Students. 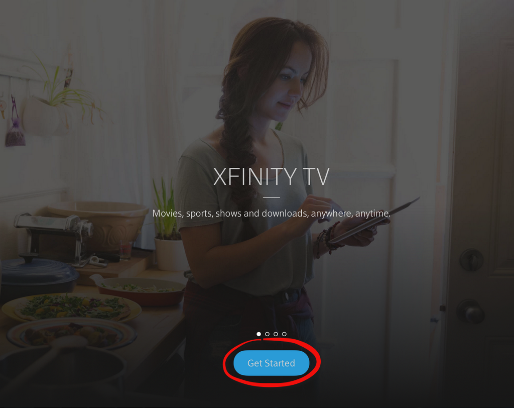 Meaning that students that live on campus have free access to Xfinity products while connected to the campus network. 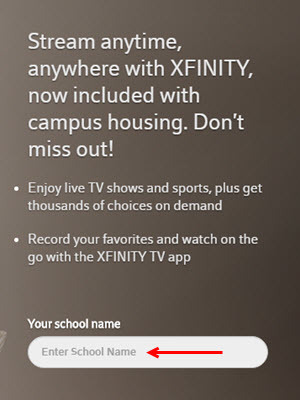 For more information about Xfinity on Campus, visit their About page. You must be on campus, connected to the campus network to login to XOC. 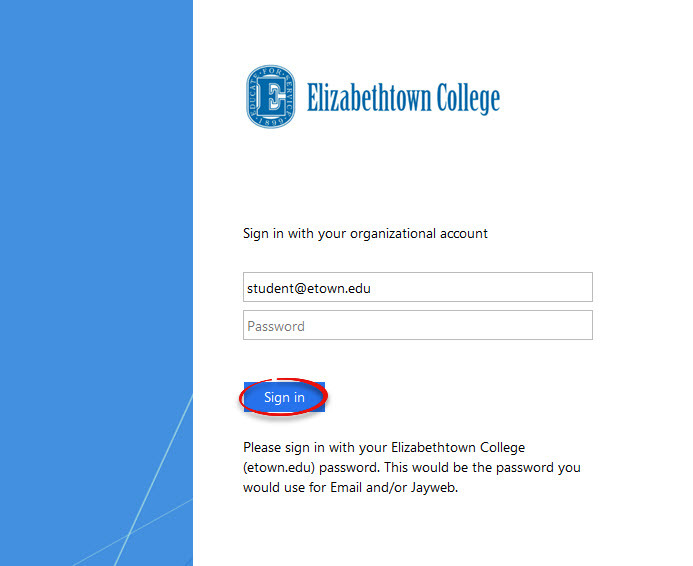 Step 2:Enter Elizabethtown College and press [Enter]. Step 3:Sign in with your E-town credentials on this page. Step 4:Click Start Watching. 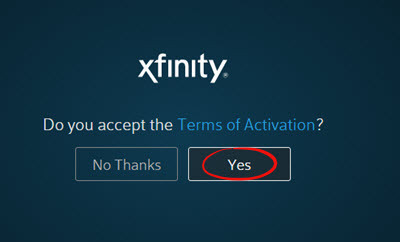 Step 5:Click Yes to accept the Terms of Activation. You can read the Terms of Activation by clicking the hyperlink. This will open a separate page. Step 6:Name your device and click Continue. 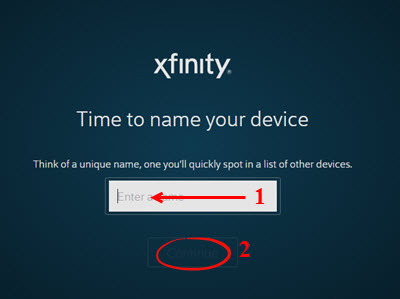 You can use your network username as your device name. For example, JaynetJ. You must name your device before Continue will appear. 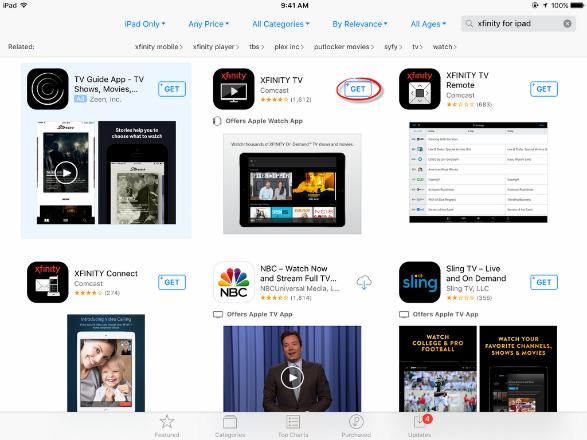 These instructions are shown on an iPad, but the process is identical on Android devices. From the opening screen, tap Get Started. Do not enter your email here. 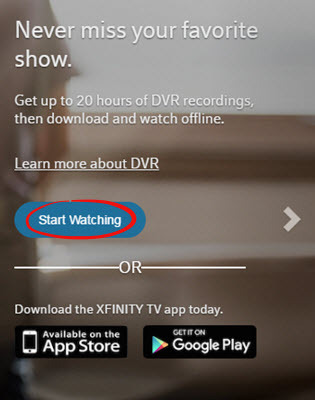 Instead, tap XFINITY On Campus Students. Enter Elizabethtown College in the search field. Type in your E-town username and password. Step 6:Name your device and tap Continue. The name can be anything that you want. ITS suggests your network username. Read through the Terms of Activation and tap Accept. 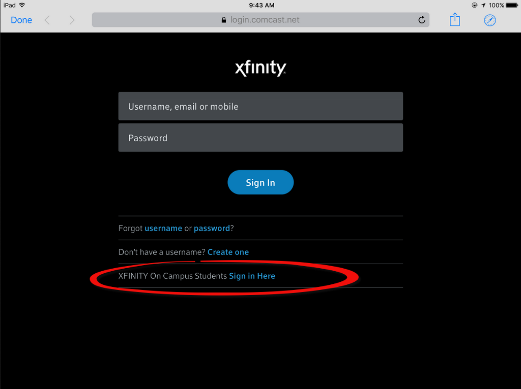 Step 1:Login following the steps for Logging in from XfinityOnCampus.com. You must be on campus, connected to the campus network to login to XOC. You may be asked to enter a name and email to keep track of your specific Support questions. Step 4:Enter a question to search for help options.